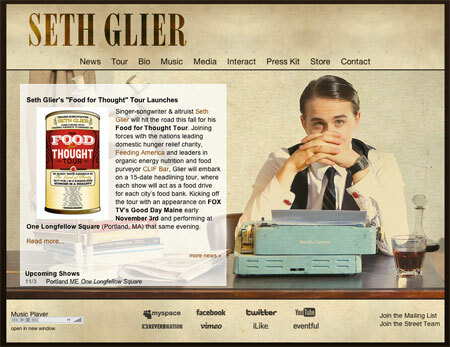 Collaborated with label manager on re-design of web site for recent album, The Next Right Thing. Also worked with label-mate Rachael Sage. Implemented in Drupal CMS to allow for content updates by non-technical staff.